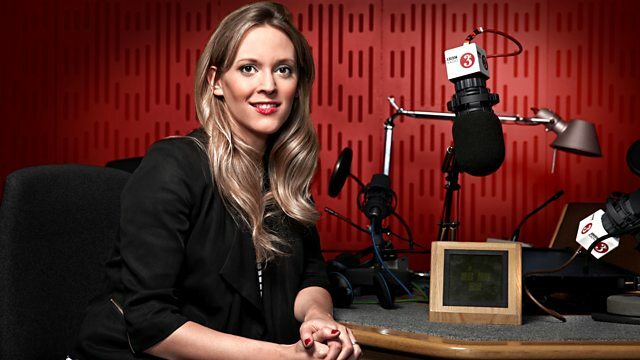 Clemency Burton-Hill presents Radio 3's breakfast show, with requests and Ten Pieces. With the fifth movement from Gabriel Prokofiev's Concerto for Turntables and Orchestra. Clemency Burton-Hill presents Radio 3's classical breakfast show, featuring listener requests and also including music from BBC Music's Ten Pieces project - a scheme to introduce classical music to secondary schools. Today the breakfast show will be playing the 5th movement from Gabriel Prokofiev's Concerto for Turntables and Orchestra. Performer: Barry Tuckwell. Orchestra: Academy of St Martin in the Fields. Conductor: Neville Marriner. Rossini: String Sonatas 1-6: Academy of St Martin in the Fields, Marriner. Performer: Juan Manuel Quintana. Performer: Céline Frisch. Conductor: Bjarte Engeset. Orchestra: Iceland Symphony Orchestra. Norwegian Classical Favourites: Iceland Symphony Orchestra/Bjarte Engeset. Performer: Kenneth Smith. Performer: Leslie Pearson. Performer: Michael Reeves. Performer: George Ives. Performer: Gerald Drucker. Performer: Lyn Fletcher. Performer: Robert Heard. Conductor: Sir Charles Groves. Orchestra: Philharmonia Orchestra. Sir Charles' Precious Music Box 1, Groves, Philharmonia Orchestra. Performer: Timothy Day. Ensemble: Members of the California Symphony. Director: Barry Jekowsky. Performer: Lisa Beznosiuk. Ensemble: Sonnerie. Director: Monica Huggett. Concerto for Turntables & Orchestra: Allegro gavotte “snow time"
Performer: DJ Yoda. Conductor: Jules Buckley. Orchestra: Heritage Orchestra. Loose Elbows - Susan Tomes plays the piano music of Billy Mayerl. Choir: Chorus of the National Academy of Santa Cecilia. Orchestra: Orchestra of the Academy of Santa Cecilia, Rome. Conductor: Carlo Rizzi. Ensemble: London Baroque Ensemble. Conductor: Karl Haas. Beethoven: Wind Music: London Baroque/Haas. Dvorak, Suk: Small Orchestral Pieces, Fantastic Scherzo. Performer: Gervase de Peyer. Performer: Gwenneth Pryor. Schubert, Schumann, Weber: Gervase de Peyer. Ensemble: Jelly Roll Morton’s Red Hot Peppers. Ensemble: Black Dyke Band. Conductor: Michael Antrobus.